Good Bacteria And Bad Bacteria Cartoon Characters Isolated On White. Set Of Funny Bacterias Germs In Flat Cartoon Style. Good And Bad Microbes. Enteric Bacteria, Gut And Intestinal Flora. Royalty Free Kliparty, Vektory A Ilustrace. Image 66292562. Reklamní fotografie - Good bacteria and bad bacteria cartoon characters isolated on white. Set of funny bacterias germs in flat cartoon style. Good and bad microbes. Enteric bacteria, gut and intestinal flora. Good bacteria and bad bacteria cartoon characters isolated on white. 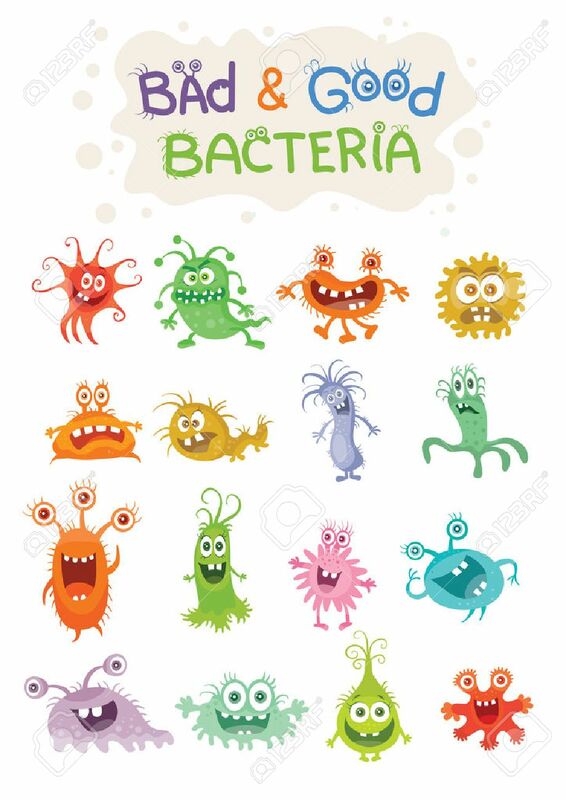 Set of funny bacterias germs in flat cartoon style. Good and bad microbes. Enteric bacteria, gut and intestinal flora.